The research agenda of the PERCEPTION group is the investigation and implementation of computational models for mapping images and sounds onto meaning and onto actions. PERCEPTION team members address this challenging problem with an interdisciplinary approach that spans the following topics: computer vision, auditory signal processing, audio scene analysis, machine learning, and robotics. In particular, we develop methods for the representation and recognition of visual and auditory objects and events, audio-visual fusion, recognition of human actions, gestures and speech, spatial hearing, and human-robot interaction. 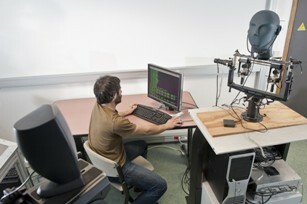 PERCEPTION is jointly associated with INRIA Grenoble Rhône-Alpes (in Montbonnot Saint-Martin, near Grenoble) and with Laboratoire Jean Kuntzmann (LJK) of Université Grenoble Alpes. Auditory scene analysis: binocular hearing, multiple sound source localization, tracking and separation, speech communication, sound-event classification, speaker diarization, acoustic signal enhancement. Machine learning: probabilistic mixture models, linear and non-linear dimension reduction, manifold learning, graphical models, Bayesian inference, neural networks and deep learning. 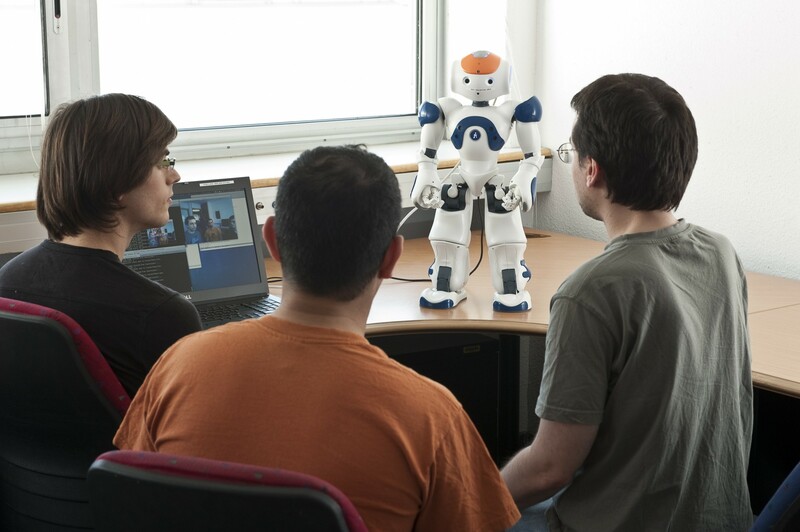 Robotics: robot vision, robot hearing, human robot interaction, data fusion, software architectures.